Shine While Protecting Your Hair. Makes fine, thinning hair look and feel thicker. 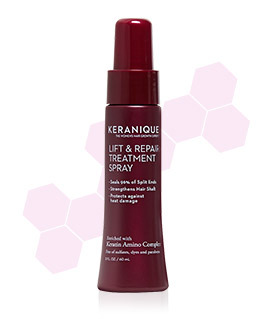 Keranique's® Lift and Repair Treatment Spray adds lift and holds thinning hair - even in high humidity - for lasting volume and fullness. This unique multi-benefit spray infuses hair with our proprietary Keratin Amino Complex, wrapping around each strand, helping to repair damage, smooth frizz, restore shine and create an invisible support system. 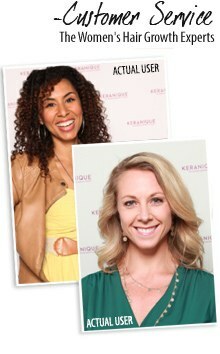 that adds instant fullness and volume. 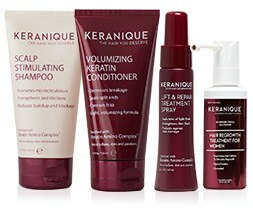 Helps repair and protect your hair against breakage and heat damage.